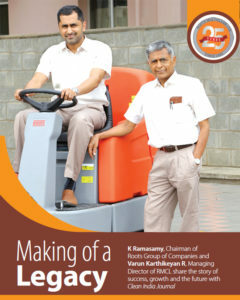 Having entered into manufacturing of mechanised cleaning equipment in the early 90s, Roots Multiclean Ltd in 25 years has grown into a leader in the Indian cleaning equipment manufacturing industry and has a significant market presence in the world market. 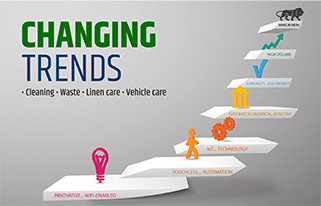 Its domain expertise spans across design, development and manufacture of cleaning equipment. Strategic alliances have strengthened its presence and broadened the scope of its product offerings. 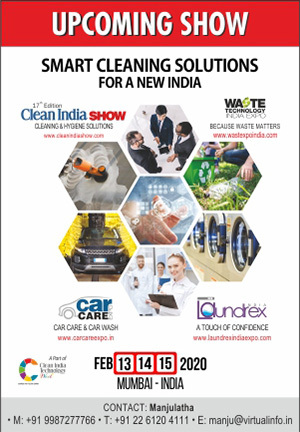 RMCL is also the exclusive representative in India for several well-known and specialised manufacturers of cleaning equipment across the world. RMCL derives its strength from an experienced talent repository, comprising experts in technology, product design and development, research, manufacturing and marketing. Roots Multiclean is one of the most important companies of the Roots Group and you have been very much involved in its growth and operations. How passionate are you about cleanliness and hygiene? Ramasamy: It is true that as a country, in India, we face low levels of cleanliness and hygiene. Travelling around the world, we see how clean other countries are and we always have a yearning that we would like India to be as clean as those countries one day. This is also a dream shared by millions of Indians and our Prime Minister. To think that our products in some way help us get closer to that dream gives me a lot of satisfaction. There are changes happening. Still, cleaning is by and large done manually across India. By mechanising cleaning, we not only improve the efficiency of cleaning manifold, but we also make it economical and most importantly reduce health risks and remove the dogma attached to cleaning job. The job description is now getting changed from a sweeper to that of a machine operator. Following the footsteps of your father would have been a challenge to you. Varun: It is always challenging to follow the footsteps of someone who has achieved so much and it becomes even more challenging when the person is your father. There is a constant pressure to perform. But I try not to dwell on those things and always try to look at the road ahead. Our family business, like most family business is built on trust and values. It was very important for me that whatever changes I bring in, I should never shake those values, but rather build on it. When I took over the company, I was faced with many challenges. India being an extremely price sensitive market, one of the major challenges has been to maintain a healthy bottom line despite the fact that we were doing a reasonable turnover. So, we had to do quite a lot of course corrections internally and implement a number of systems while at the same time empowering people to take quick decisions. One of the biggest strengths of RMCL is my team that is with me 100% and that has made things easy and because of which we turned around the situation quiet quickly. What are the changes you have experienced over the years in terms of marketing strategies, sales approach, success rates, consumption pattern, target segments, etc. Ramasamy: When I started the business, the market was not ready for the product. As the labour costs were so low, industry did not want to invest in cleaning machines. It was very difficult to convince the managers to go for mechanized cleaning even after explaining to them that the quality of the cleaning would be much better and also the cost would come down eventually. It took at least 10 demonstrations to realize one sale. As a result, cost of sales was much higher than the machine cost itself. 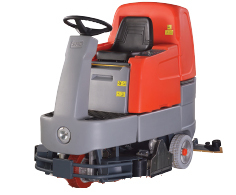 Those days trade union movement was very strong which had posed several challenges to the sales of cleaning machines. Even our machines were put to misuse by the workers thinking that the machines would take away their jobs. On many occasions we had posted permanent site maintenance engineers at the customer’s factory premises to immediately repair or replace the damaged parts and restore the machine. Now the situation has changed because, the operators feel honoured to become machine operators rather than being branded as cleaner. Recently the cost of labour has increased substantially. This combined with nonavailability of manpower has paved the way for mechanized cleaning. 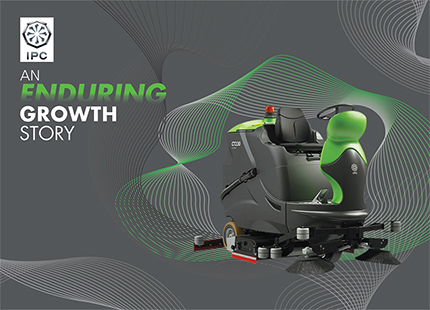 With regards to growth, we have been consistently growing at a steady pace year on year to become the Country’s largest cleaning equipment manufacturer today. 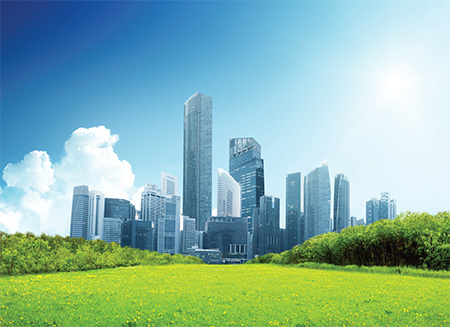 With the importance given to cleaning and cleanliness in general, I am certain we will be able to maintain high growth rate in the years to come.